I could not wait to share this new project with you! 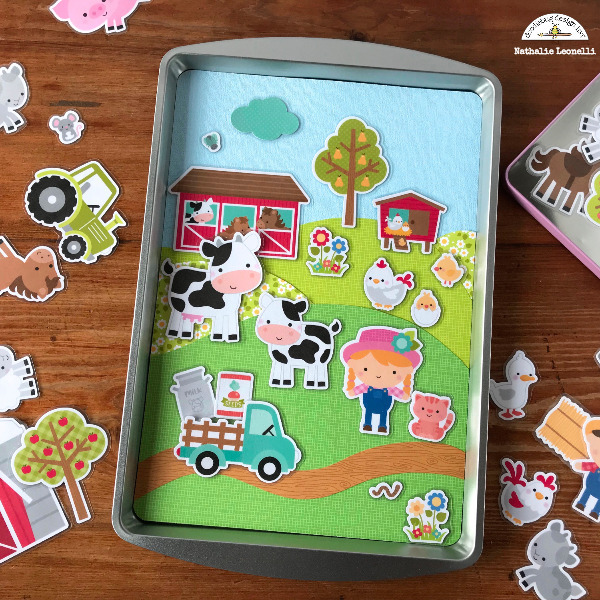 I went out of the box and created a magnetic game with the Down on the Farm collection. I am so happy with how it turned out! 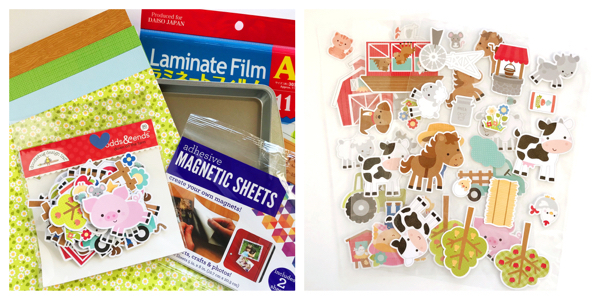 - Down on the Farm Odds & Ends die-cuts: my inspiration and the most important supply! 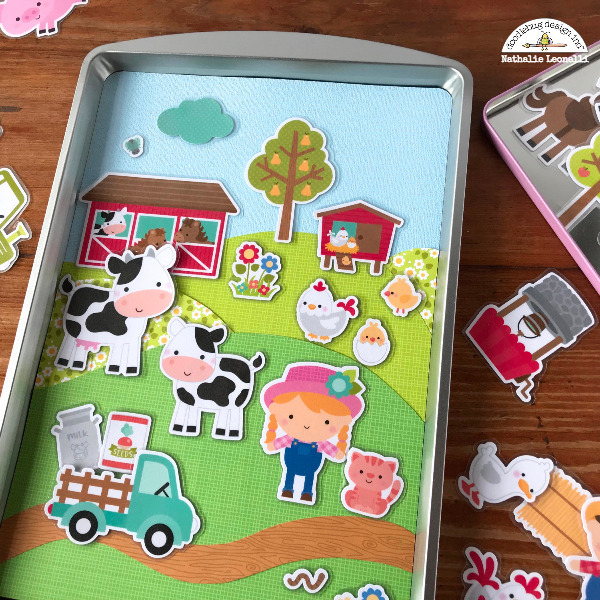 - Patterned papers: I used "Counting Sheep" and "Horsin'Around"
1/ Laminate how ever many die-cuts you want from the Odds&Ends pack and fussy cut each of them afterwards. That is the longest part of this quick project. 2/ Once they are cut, place an adhesive piece of magnet behind each of them. 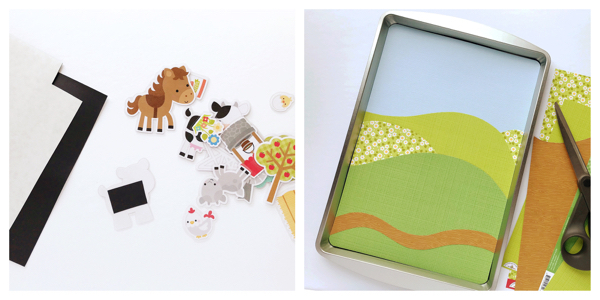 3/ Cut and glue the patterned papers and cardstock to the cookie sheet to create a scenery. That's it! 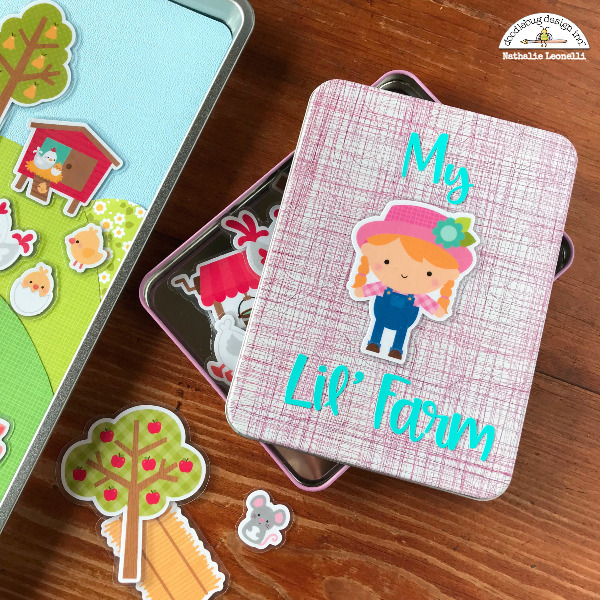 I found a small metal box in my stash that I decorated so that all the magnets could be stored in it but you can use any container. I can not wait to offer it to my friend's daughter! I think she will have tons of fun with it! What do you think? What a lovely idea! This is adorable! Thank you for the inspiration. Thank you for the compliment Hamutal! This is just so stinking cute!!! Fabulous idea!